At MainStay Suites Rapid City, we want visitors to see South Dakota like we do – iconic monuments, the majestic Black Hills breathtaking national parks and a thriving shopping and dining scene. That’s why our extended-stay hotel is conveniently located less than 30 miles from Mount Rushmore and only 10 minutes from downtown Rapid City. From the world’s largest free roaming buffalo herd to Rapid City’s bustling business district, we put the area’s top attractions at your fingertips. Visitors will find all the comforts of home in our brand new, apartment-style suites. Our spacious accommodations feature full kitchens, modern cooking appliances, flat-screen cable TVs, room service and large cozy beds. Complimentary high-speed Wi-Fi and spacious work desks also make it easy to stay connected and productive while away from home. The upscale amenities and services at MainStay Suites Rapid City are an unbeatable value in western South Dakota. Grill out with the family or roast s’mores in our tranquil outdoor courtyard. Keep up with your workout routine in the hotel fitness center. Cool off with a dip in our sparkling indoor pool. From complimentary buffet breakfasts to free shuttle service, our friendly staff always goes the extra mile to make guests feel at home. 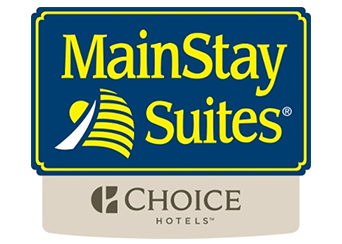 Whether you’re traveling for work or pleasure, MainStay Suites Rapid City is the ultimate destination for economical extended stays in Rapid City. Are you a Choice Privileges rewards member? Sign up for free today to start earning points towards airline rewards, shopping, dining and free room nights at more than 6,000 Choice Hotels worldwide!